Barolo Grill has three private dining rooms, available for groups of 6 to 30 people. Each season Chef Darrel Truett creates two five course private dining menus for groups to choose from. We also offer a Restaurant Buyout option on Monday evenings for groups up to 80 people. 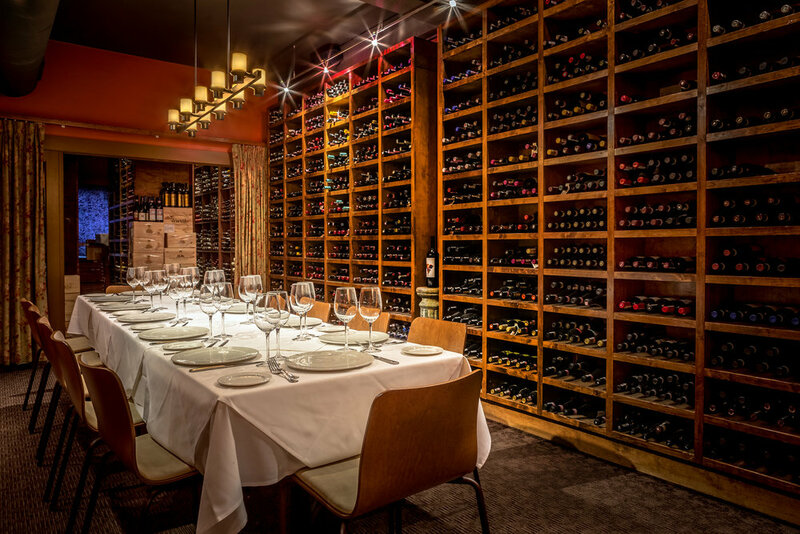 The Wine Room is the most intimate of our private spaces. This working wine cellar is perfect for smaller gatherings. Available for groups of 6-12.. The Red Room is not only a beautiful private dining space, but also serves to house some of the best wines featured on our list. Available for groups of 10-20. The Garden Room features an exposed brick wall & antique Italian posters to create a cozy ambience even for larger parties. Available for groups of 20- 32.